The Daytona 500 is on today. An old Tank McNamara Sunday colour cartoon. Roy Smith lost his life when the fishing boat he was on capsized February 26, 2004. He would have turned 60 that August. 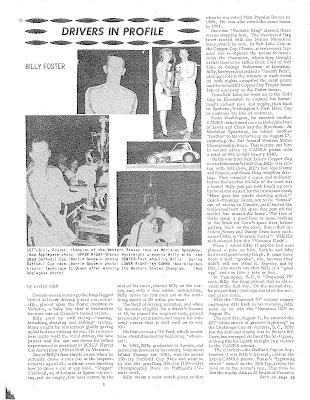 At that point Roy had been inducted to the Victoria Motorsport Hall of Fame, Greater Victoria Sports Hall of Fame and Canadian Motorsport Hall of Fame. 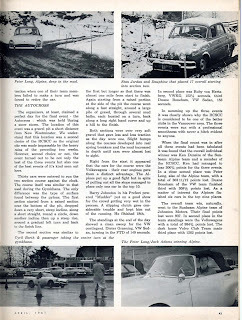 I think I might have mentioned this before but this is a more complete rundown of the 1961 Royal City Sports Car Club Triad event. It involved a rally, a gymkhana and an autocross. Looked snowy for the autocross and probably for the other events. Snow forecast for today and tomorrow around here as well. Let's run the Triad again! 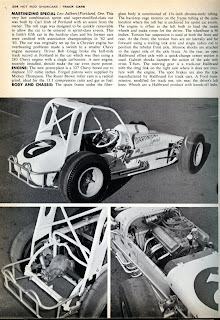 Built by Carl Irish down in Portland, OR, and driven by Bob Gregg. 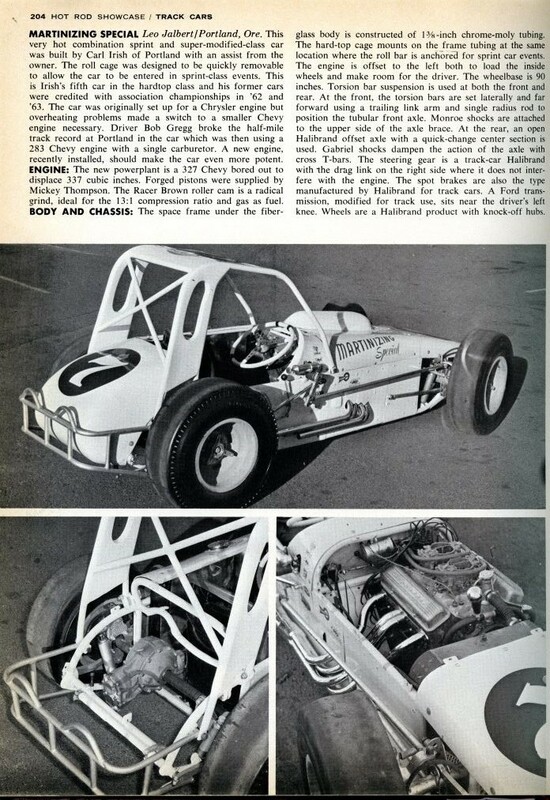 Another page from the 1965 Hot Rod Yearbook. 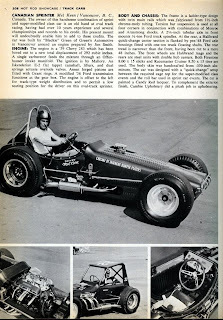 This time Blackie Green's super modified built for Mel Keen. Oh man, take a few days off and come back to a new way of trying to post. Wish me luck. Some pages from the HAMB forum that have been uploaded. A please and thank you reposting here. 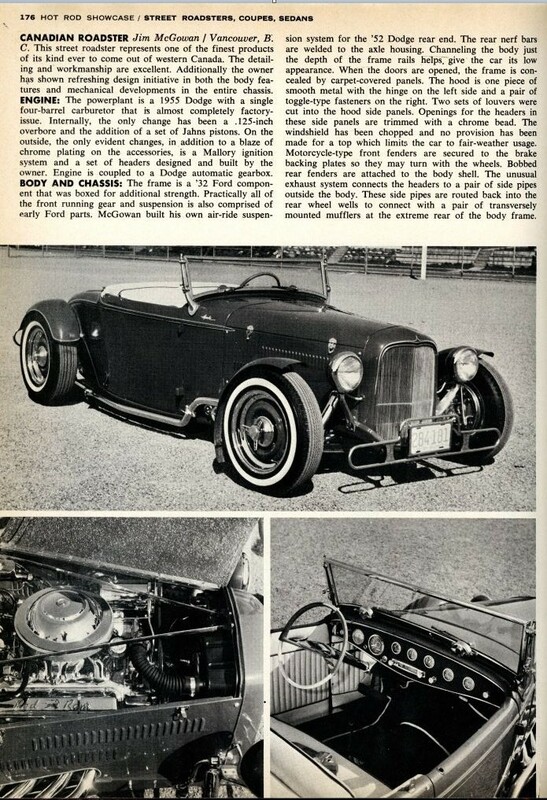 First Jim McGowan's Apache custom car. About 40 years ago things went off the rails, or at least onto a different line. 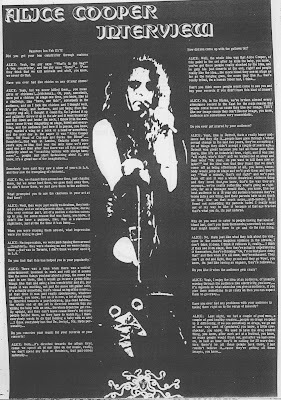 Alice Cooper showed up in town and for a while I really liked the sound. Still like that sound and he/they were a way to find other sounds. I suppose I could try to alter time and fix things but it's best to let these things happen and try not to let them happen again. While this isn't the motorcycle race referred to in the previous ad, it is interesting, and I don't think I've put this one up yet. 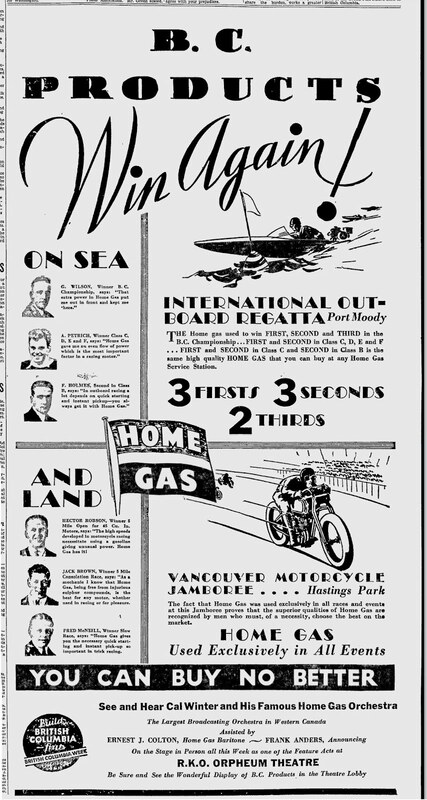 I have something from 1929 back in the "early Vancouver" thread. Same club, Flying Thirty Club, and same hill in Maillardville I guess. The boat race referred to in the previous post. Going through the GVMPS archives/research material that has been gathering dust and this slid out of the pile. 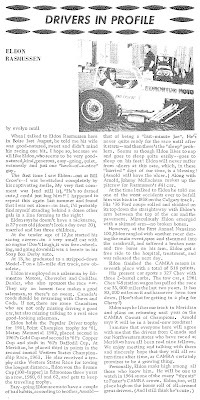 A 1950 scan from a trip Tom J., Gerry M. and myself did to the BC Archives. One task was to find some sort of Fernie, BC link to Pete Henderson. I believe we found that in a local newspaper. 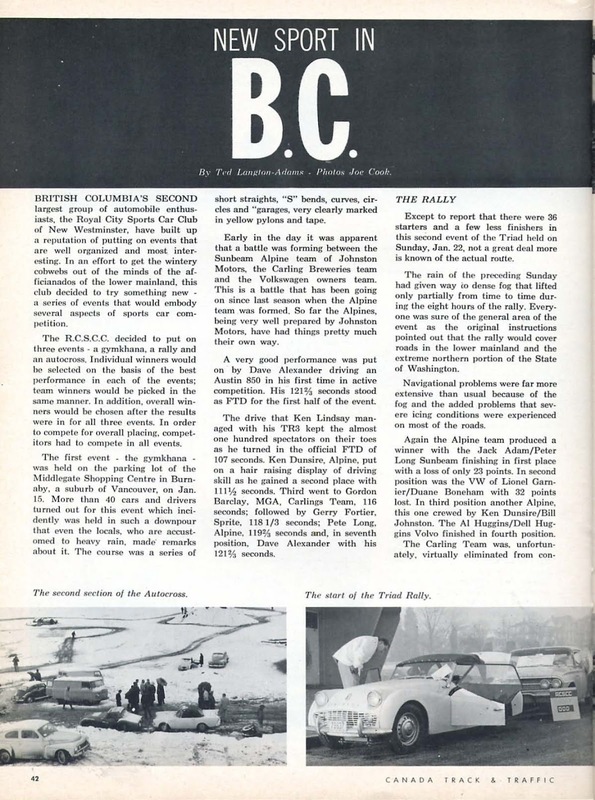 And the other task was to hopefully find a 1949 reference to racing at Abbotsford Airport. Didn't find that. 1950 is the best we've got so far. Sorry that I don't have the exact date for the clipping. Sometime in September, 1950. Or the exact name of the Abbotsford newspaper. Sorry, got lost in the looking and forgot to post for a couple days. Will get back at it with this photo I bought at a antique store. I was thinking/hoping it was John Haftner, but I don't think so. 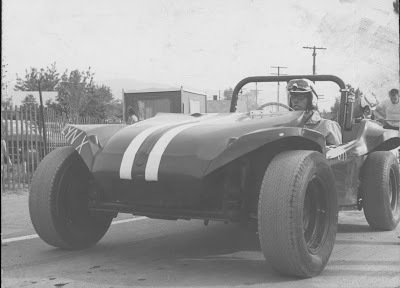 He did drive dune buggies initially but I can't find anything that associates him with this "lynx" buggy. I also thought hill climb when I saw the snow fence behind the vehicle but it could just as easily be a solo parking lot event. And it doesn't have to be from the Greater Vancouver area. So all I can say for sure it that it's unidentified. 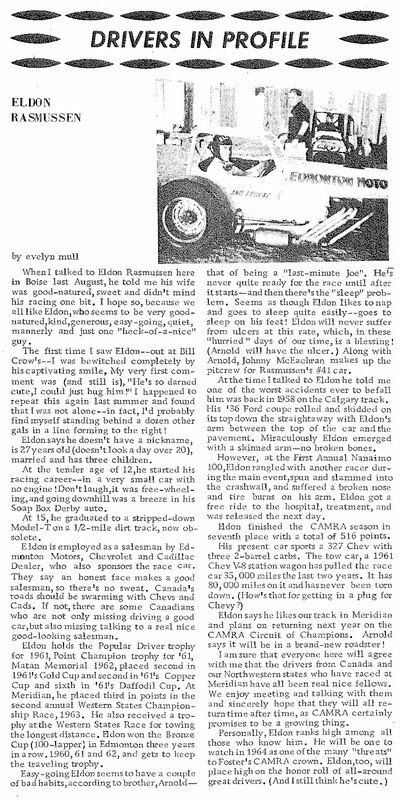 Seems like I was wrong, or not up to date in being correct, about who the first Canadian to race at the Indianapolis 500 was. 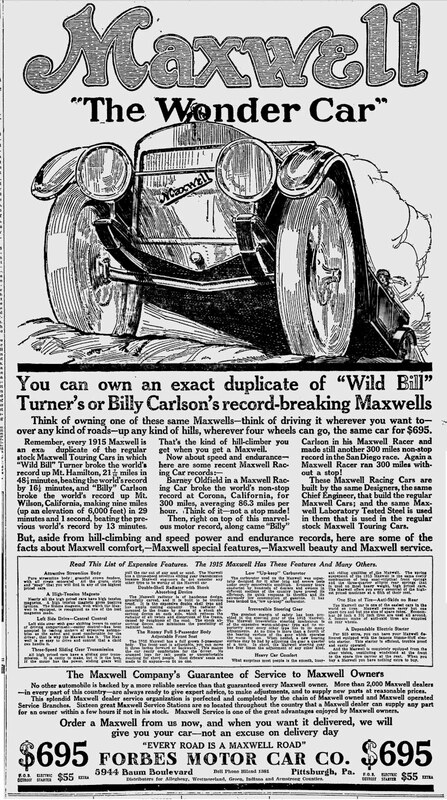 A guy named "Wild Bill" Turner (I doubt his Mom named him "Wild") seems to have been the first. While originally listed as being an American it turns out he was from Toronto. 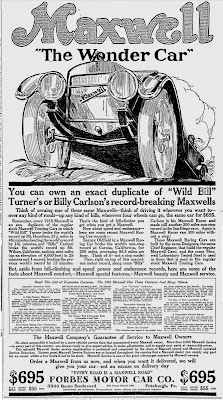 And he participated in the first 500 in 1911. 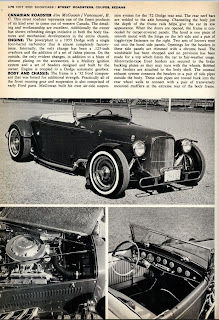 More information can be found in this thread at the The Nostalgia Forum. 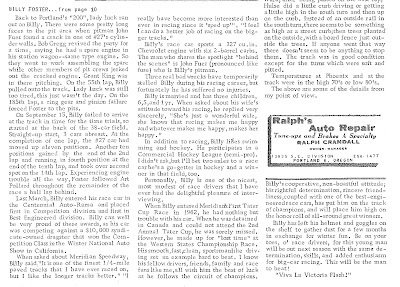 And Tom J. has written about him in Vantage, the Vintage Racing Club of BC's newsletter, recently. I'll just add a couple clipping found on the web. Apparently there could be some hill climb film footage out there. At least it was out there in 1914/15. Final installment to the Allen Heath story up to the beginning of the 1964 season. He would race a couple more years, after his recovery from losing his hand. 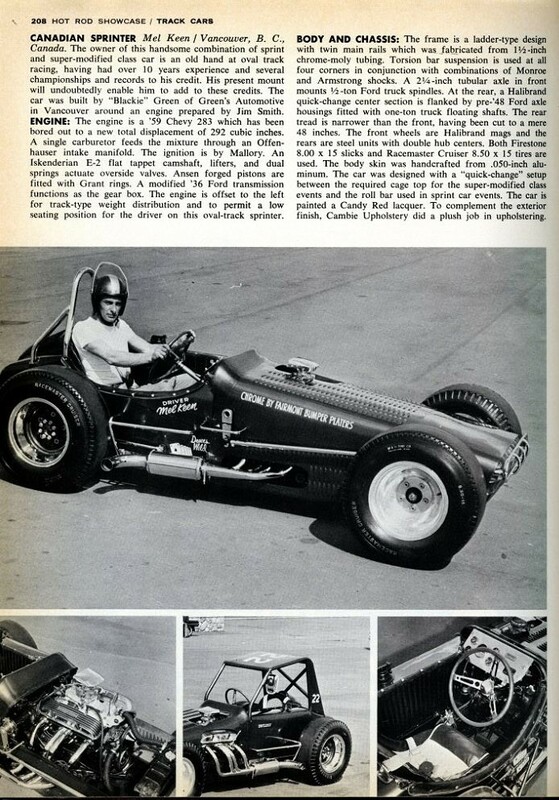 I know there's a video of him running at El Centro in a CRA race whipping the tail of his sprint car with his good hand while broadsliding off the turn holding the wheel with his hook. Heath heads south to race in California. Then to the midwest to run big cars. And almost loses his life. Born in Saskatoon, learned his racing in the Pacific northwest. 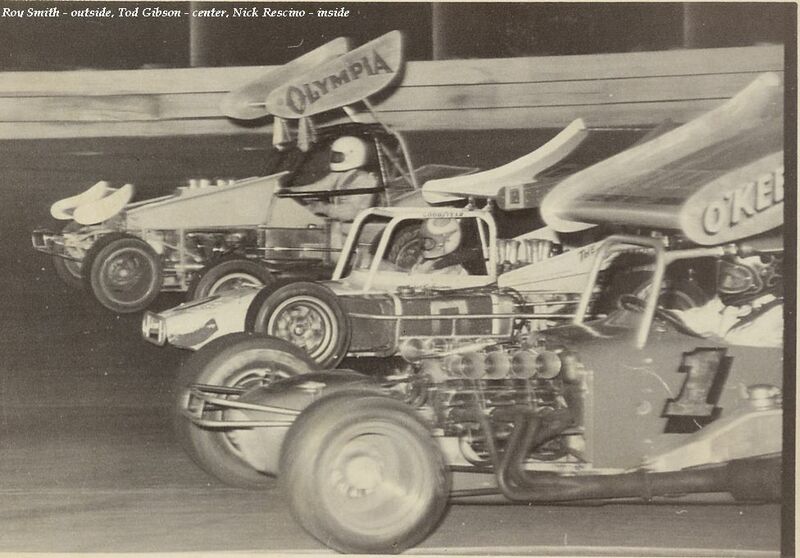 Even raced up here at Con Jones Park (now Callister Park) in the midgets. Heckuva story. 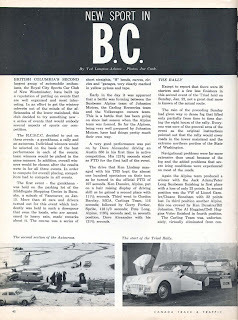 The 1975 CAMRA season ended in Spokane. Doug Larson, of Quesnel, BC, took the points championship. 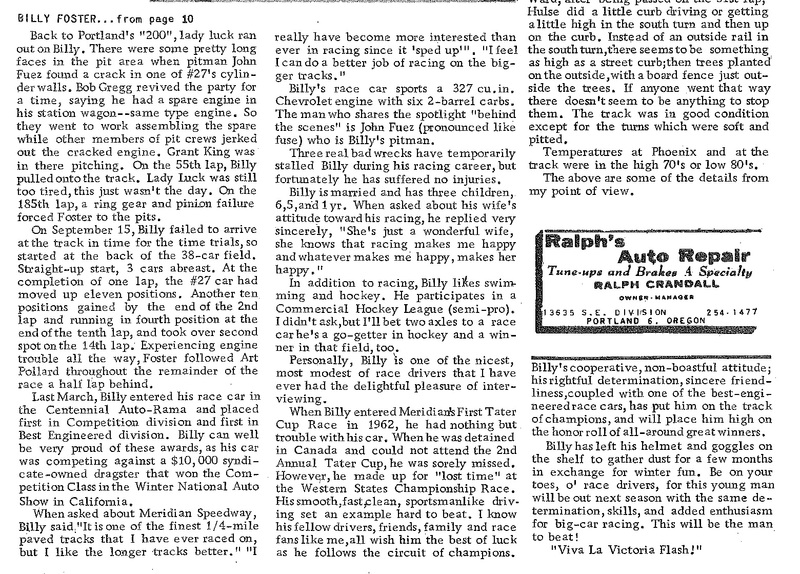 Actually, the top three positions were from Canada: Larson, Cliff Hucul and Ralph Monhay. And three more in the top ten to boot: Brian Green, Buddie Boys and Ed Crombie. The 1975 season came down to the wire. 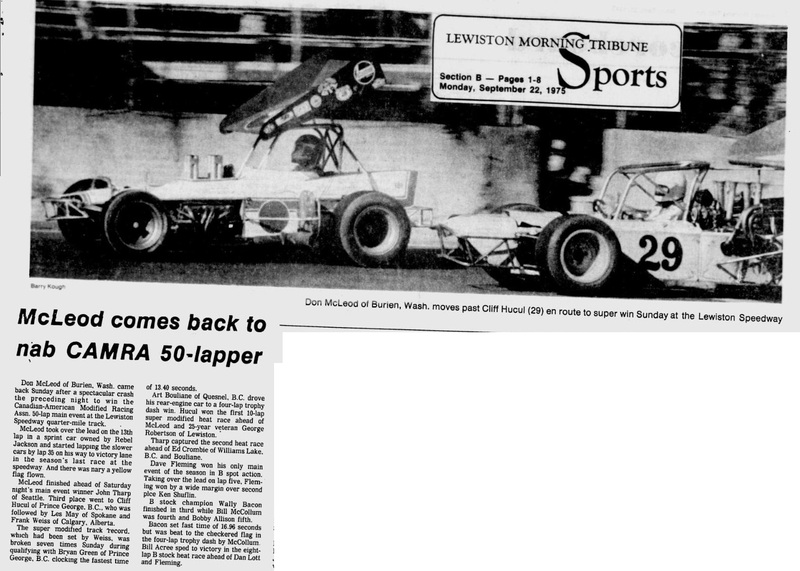 And, for the first time since 1969 when Norm Ellefson won the title, Canadians were in position to win the championship.